Whenever image recognition software is mentioned, most people are quick to think of how the technology has been harnessed by Google to refine some its apps and turn itself into a creepy company. However, there are other ways that simpler examples of image recognition software have been used in other fields. Take bird watching, for example. 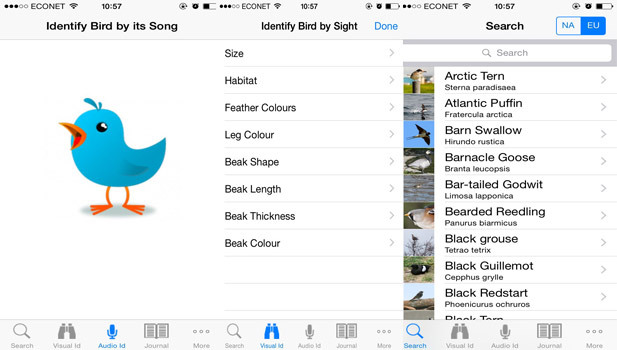 Twigle, a Zimbabwean bird watching app which we have featured before, now has image recognition for birds. Previously, Twigle only used sound recognition, much like Shazam, to identify birds. This new feature now lets users identify up to 1,200 species of birds from North America, UK, Ireland and Southern Africa. The app was initially designed for Windows Phone, with an iOS version released later. Now, the app has been enabled for Windows desktop (for versions 8 and 10 only). The image recognition app works in pretty much the same way other IR platforms work. To access the image recognition feature, you select an image of a bird and run it against the Twigle database. When it identifies the species, it will display the name and specific information on the bird. I used my own datasets of images to train my bird image classifiers on top of an image recognition platform whose provider I cannot disclose. The app, with the IR feature, is available for purchase from Windows . obviously bird watchers will drool and love this new feature, but (hey, there is always a but), for an average joe like me, meh. >> see what i did with my name? You’re easily the one who’s ignorant. You’re totally missing the point, its Windows Phone not Windows Mobile, Windows 8 and Windows 10, what is “Windows desktop (for versions 8 and 10 only)”? tinm@n how am I the one who is ignorant here??? @Tariro, you’re right, that should have read Windows Phone there. Thanks for that heads up. I made that adjustment. It was more of a typo than ignorance really. As for Windows versions, dude, seriously?